Think of a customer who placed an order with you, got confirmation and is eagerly waiting for his purchase to arrive but instead got an email several days later that the item isn’t available. Not only you missed your sale, but also your reputation and brand name is necessary to take a hit. And what if he was among your regular customers? A little mistake in inventory management can ruin your customer’s experience, rob you of your sales and can also tarnish your image. In online businesses, the amount of inventory can be massive, multiple warehouses or inventories kept in a garage. Nature of operations too differs drastically in these businesses, so keeping records and tracking of inventory becomes important. But even with rigorous inventory management skills you may end up making a mistake that can lead to lack of stock, wrong delivery, or even a delivery to the wrong person. For this, you are required to monitor your inventory and refine your inventory management skills regularly, and avoid some of the common mistakes from occurring. For any business it is extremely important to have knowledge of its stock levels, location of the stocks and means to locate it quickly. For this, the inventories must be kept organized or you may end up either losing your sale or credibility. In online businesses, the key to success is timely and accurate order fulfilment. For this the shipment should be managed properly. Item may appear available while it is not available in stock due to error in inventory management. It may lead to overselling online, and the customer may need to wait while the stock is refilling. Or, sometimes a business may keep on ordering and end up with excess stock. Both these situations must be avoided. In retailer’s business, it is important to keep track of the complete supply chain from raw materials to customer’s requirements and buying habits. Every business link in the entire supply chain has its role to play in your business growth. Price of products changes with its demand and stock. That is why you need to maintain your product prices, so that you can gain profit from its sale, still being in competition. Inventory Management Systems can only help business if your people are comfortable using them and can benefit from their features. So you should get accustomed with your inventory management system before employing it in your business. You must maintain your records and other reports properly so you can keep check on market demands correctly and keep learning from the history and can maintain your stock accordingly. To prevent you from making these mistakes, we provide you an all integrated inventory management systems i.e. 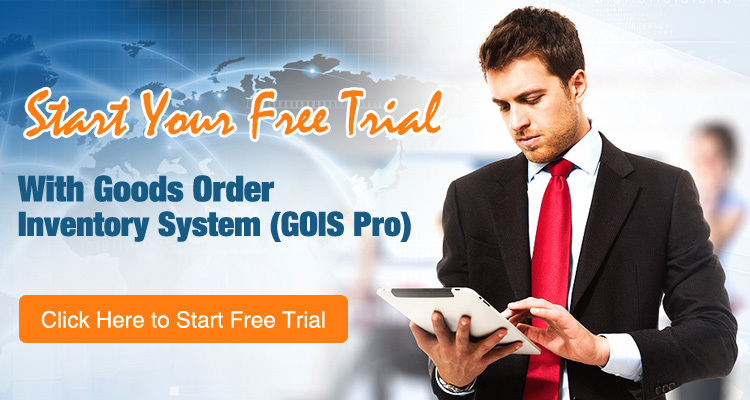 Goods Order Inventory Systems (GOIS) Pro. Along with the product, MetaOption also provides you with technical support so that you can utilize it to its full potential.